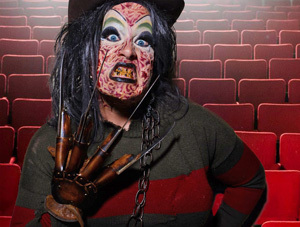 Elvira, the gal in the wig whose talents are big– is hard to kill. 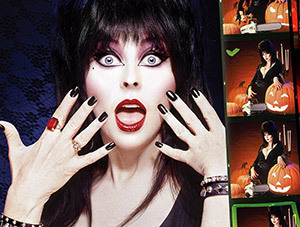 After 35 years, she’s still going strong with her sold out show, Elvira’s Danse Macabre at Knotts Scary Farm, and she has a new coffee table book, titled simply ELVIRA MISTRESS OF THE DARK: A Photographic Retrospective of the Queen of Halloween. Today, Cassandra Peterson, the ghoulish gal best known as Elvira, Mistress of the Dark joins us to talk about the curse of her bouffant wig, her early years as a Las Vegas showgirl and her extraordinary circle of fabulous friends. « FOF #2411 – Who’s that Hot Guy Peaches Christ? This was a really fantastic podcast with Cassandra Peterson, the real Elvira, Mistress of the Dark! It was fascinating to hear about her friends, particularly Joey Arias who hired her to be the barista at the legendary Fiorucci store in NYC! 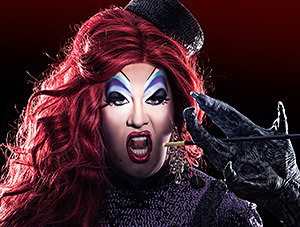 It was also fun to learn about her relationship with her gal pal, drag queen assistant Christian Greenia!